Mifare RFID cards are fundamentally just memory storage devices. The memory in this card is divided into segments and blocks with simple security mechanisms for access control. They are ASIC-based and have limited computational power. These cards are widely used for electronic wallet, access control, corporate ID cards, transportation and stadium ticketing due to their low cost and reliability. Blank white Mifare 1k rfid cards. Blank white Mifare 4k rfid cards. Pre-printed Mifare cards for thermal printing. XP Icode, UHF, Legic, ISO-B, TAGIT, RFID cards. The MIFARE Classic RFID cards -1K offers 1024 bytes of data storage, split into 16 sectors; each sector is protected by two different keys, called A and B. Each key can be programmed to allow operations such as reading, writing and increasing value blocks, etc. MIFARE Classic 4K offers 4096 bytes split into forty sectors, of which 32 are same size as in the 1K with eight more that are quadruple size sectors. MIFARE Classic mini offers 320 bytes split into five sectors. For each of these card types, 16 bytes per sector are reserved for the keys and access conditions and cannot normally be used for user data. Also, the very first 16 bytes contain the serial number of the card and certain other manufacturer data and are read only. That brings the net storage capacity of these cards down to 752 bytes for Classic 1k, 3440 bytes for Classic 4k, and 224 bytes for Mini. It uses an NXP proprietary security protocol (Crypto-1) for authentication and ciphering. 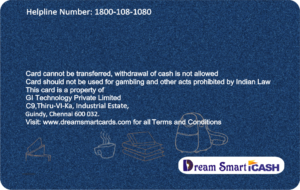 Newline Enterprises is an established name as a plastic card manufacturer in Mumbai. 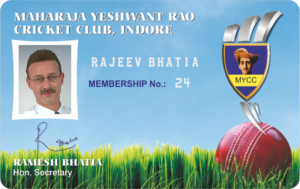 We are best know for our plastic ID card printing services. 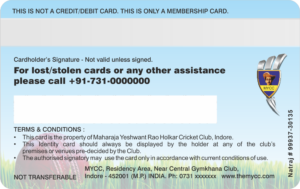 We offer all kinds of printed and laminated plastic cards.